PAKISTAN’S first democratic transition from one elected government to another marked a significant milestone in its democratic development. But the elections are unlikely to herald significant changes in Pakistan’s foreign policy, which means relations with the US are likely to remain fraught with tension. The elections demonstrate that the Pakistani military is staying out of internal politics for the time being but the army will continue to dominate decision-making when it comes to core national security issues like Afghanistan, the India-Pakistan dispute over Kashmir, and the nuclear weapons programme. 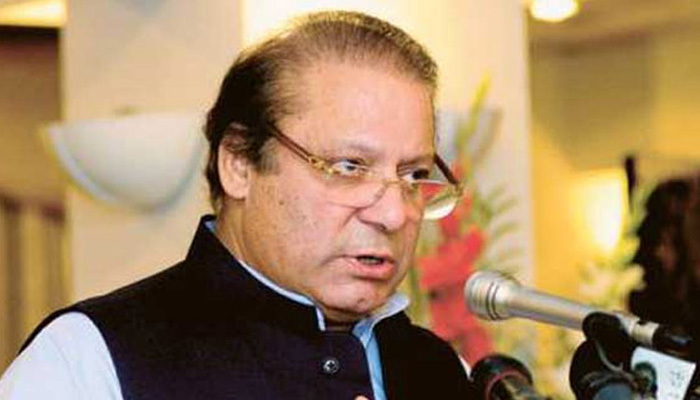 Nawaz Sharif, who was sworn in as Prime Minister on June 7, 2013, for an unprecedented third time, faces significant challenges in reviving a faltering economy and stemming rising terrorist violence and sectarian strife. One of Mr Sharif’s first accomplishments at the helm was to negotiate a three-year loan package worth US$5.3 billion with the International Monetary Fund (IMF). To meet the IMF loan obligations, the Sharif government must reform tax policies and control fiscal deficits. Less than one million Pakistanis – out of a population of around 180 million – currently pay taxes and the fiscal deficit stands at an unsustainable eight per cent of GDP. The new government’s laser-like focus on the economy brings some hope that it will make a serious attempt to implement much-needed economic reforms. Prospects for Mr Sharif’s government to deal effectively with the burgeoning terrorist threat seem less certain. The Pakistani Taliban terrorist group (Tehrik-e-Taliban Pakistan or TTP) has killed hundreds of Pakistani security forces and civilians in attacks throughout the country since its formation in 2007. Most recently, the group conducted a string of targeted assassinations against Pakistani election workers, candidates, and party activists in the run-up to the May 2013 elections. Prime Minister Sharif’s offer of talks with the TTP during his election campaign have not stemmed the terrorist onslaught. Drones will continue to be a point of contention in relations between Islamabad and Washington, but is unlikely to derail ties altogether. Nawaz Sharif made a campaign promise to curb the use of US drones on Pakistani territory. There has been a sharp reduction in the number of drone attacks conducted in Pakistan in 2013 compared with the previous three years. But until Islamabad cracks down more aggressively on the plethora of Islamist terrorist groups operating on its territory, drones will remain an essential tool for the US to fight terrorists hiding in Pakistan. It is no secret that some drone strikes benefit Pakistan, as in the May 29 strike which killed the number two leader of the Pakistani Taliban, Waliur Rehman. The extent to which the US will continue to rely on drone strikes ultimately depends on Islamabad’s willingness to develop more decisive and comprehensive counterterrorism policies which include targeting groups like the Haqqani Network. A major issue threatening to disrupt the Sino-Pakistani alliance is the rising influence of Islamist extremists in Pakistan. China is particularly concerned that Uighur separatists in western China receive training at militant camps located in Pakistan’s tribal areas bordering Afghanistan. If the new Pakistani government wanted to get a better handle on the terrorist threat, it would shun the idea of talks and instead carefully develop a plan in coordination with the military that cuts off TTP financing and supply-lines and delegitimises the group’s cause. The Pakistani goverment’s past attempt to negotiate with militants in the Swat Valley in 2008-2009 failed miserably. The most likely scenario is that the Sharif government will try to ignore the terrorism issue and when there is an attack, blame it on US policies in the region. This approach will only perpetuate the problem and fuel tensions in US-Pakistani relations.